161 Old Montgomery Hwy #161-B, Homewood, AL.| MLS# 839253 | Richard Jacks UABLIVING.com 205-910-2297 | Birmingham AL Real Estate | Contact us to request more information about our Homes for Sale in the Birmingham AL area. 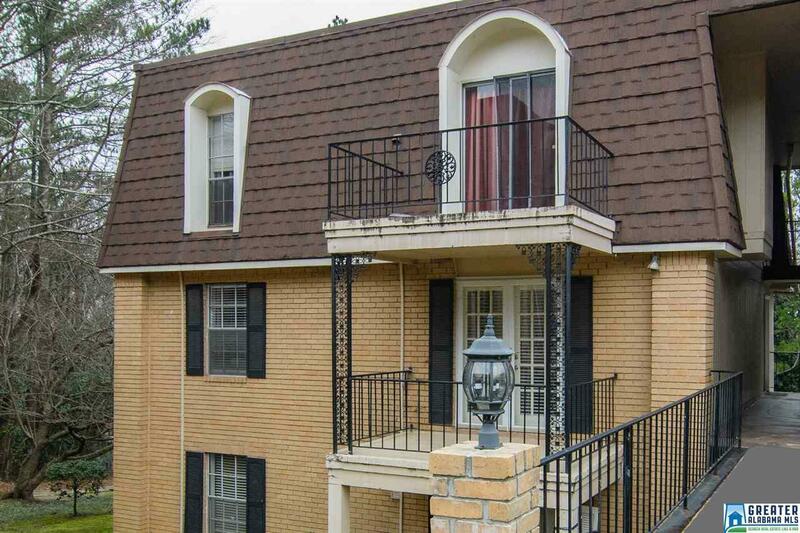 HOMEWOOD SCHOOLS //// Beautifully RENOVATED CONDO/// in Homewood! All hardwood floors.. new appliances that remain including washer and dryer... steps away from the pool and pool house. 2 large bedrooms 2 full baths extremely large living and dinning area... really nice updated Kitchen with new countertops and appliances with its own patio that is private. Enjoy being minutes to Brookwood Mall and Samford as well as only 20 min to UAB. Private yet convenient to everything you need. This one will not last! Driving Directions: Montgomery Hwy From Homewood Or Hoover Take The Lakeshore Exit Toward Samford Take A Left On Old Montgomery Hwy And Go Up The Hill Take A Left At The 3rd Drive On Foxcroft Condo.